Our son MacKenzie has now not accessed school full time since summer due to anxiety and also the fact that the school was not the right educational place for him. It has been a rough time for a while with MacKenzie struggling to fit into a mainstream school with his autism and also vice versa the school struggling to meet MacKenzie’s needs. He has ended up with lots of anxieties and had psychosomatic pains for months. We are though now on a better journey to getting him the right educational setting and while he is not at school at the moment its a good time for MacKenzie to try and be happy again. This is where Marks & Spencer Food Hall in Burnley stepped in. MacKenzie loves routine and part of our weekly routine is a food shop on a Monday morning and one of our stops is Marks & Spencer’s food department. All the staff are always very helpful and friendly especially a member of staff called Sonny. MacKenzie is a very chatty and talkative young man, this can be an advantage and a disadvantage. 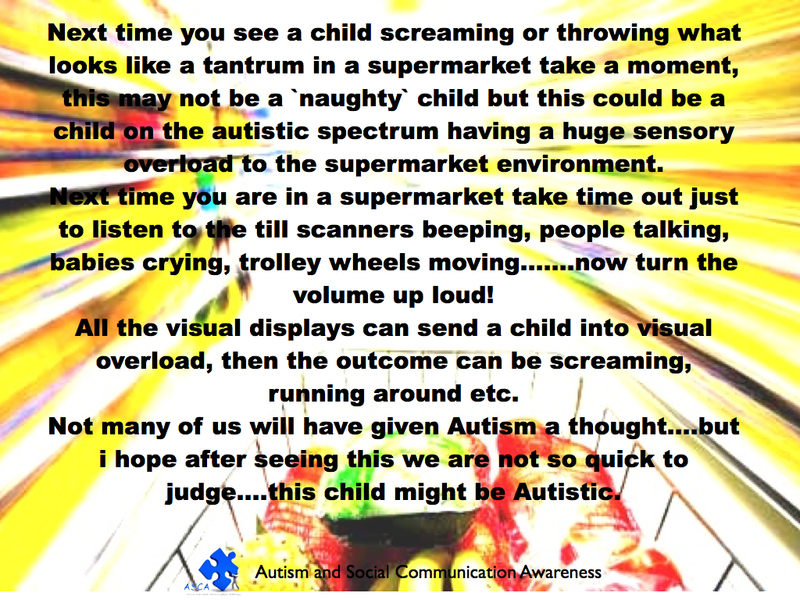 A lot of people think that autism is where someone sits in a corner and doesn’t speak, this isn’t always the case. Some people with autism are very talkative and friendly but because they have autism they struggle with social rules and speak very literal. MacKenzie will talk to people he doesn’t know and when its not appropriate. He will be too over friendly, he may also give very personal information away to strangers and the main one he will tell you exactly what he thinks. Conversation can be difficult because he does take things very literally and i can find myself saying the wrongs things daily and then having to spend half an hour trying to explain something i just simply said to him. Anyway back to Sonny at the food department, MacKenzie spotted him near the bread section and said that he would like to be his friend. Knowing that he was a member of staff and i had seen him a number of times before i said he could go and ask him with me. From then on Sunny and MacKenzie became friends and MacKenzie loves helping him with the shop decoration (MacKenzie’s words). MacKenzie is a very tidy young man at home and likes things in its place and in order…..so he loves ordering the shelves and checking labels are all front facing and presented beautifully. Sonny told MacKenzie a few weeks ago he is now part of the Marks and Spencer’s team and he has even got him his own badge. It has really uplifted him and give him a goal. MacKenzie was in such a dark place at the beginning of summer and he is still having his struggles, but a small thing like what the team have done at Marks and Spencer is such a big thing for us and MacKenzie…..you have given us hope and made our little boy happy. Acceptance and understanding……Thank you Marks & Spencer Burnley. This time last week our little boy (well not so little anymore) was getting prepared for acting in a performance that evening, a little nervous but self esteem high. I suppose it was make or break for MacKenzie it could have gone one way or the other and it definitely went the better way. The production `The Big Bang` was performed twice for the public at Burnley Youth Theatre, Friday evening and Saturday afternoon. MacKenzie thought it was best if we didn’t watch the first performance on the Friday and instead come to the Saturday one. He returned home from the Friday performance with tears in his eyes and the biggest smile you have ever seen, he was busting with pride. “I did it, I did it…..I finally did it” he was so happy. On Saturday afternoon we all went to see the show and he was fantastic, all the children were. They all worked so hard to put the The Big Bang together, and also taking into account the play was written and devised by the children. MacKenzie who has autism has been going to rehearsals since November for this production and it has been lovely to drop him off in such a friendly understanding environment. The other children were great and every time I dropped him off, I could see he was part of the team something he doesn’t get at school. School is tough for MacKenzie and Burnley Youth Theatre have offered him a light at the end of the tunnel. I would like to say a Big Thank You to Jack Herbert for being such a big part in what MacKenzie has achieved. He understood MacKenzie`s struggles and anxieties so well without me having to tell him much, and he also provided Mackenzie with some fantastic tools he will hopefully remember and use again. MacKenzie joined Burnley Youth Theatre about a year ago now and he would throw himself into sessions and then after a couple he just couldn’t go, nervous would kick in and he would just leave it, then the cycle would start again. Until finally we have got to this stage where he hasn’t missed going once and finished off with 2 performances for the public proudly. So again this is more of a thank you letter than a blog, so I would just like to say a Big Thank You again to Jack Herbert, Amber Tither, Michael Parker, Jess Milne, Kat Osborn, Michelle Darwin and finally Karen Metcalfe. April is a special time for autism awareness with world autism awareness day being April 2nd, everyone comes together promoting awareness and understanding in a positive way. 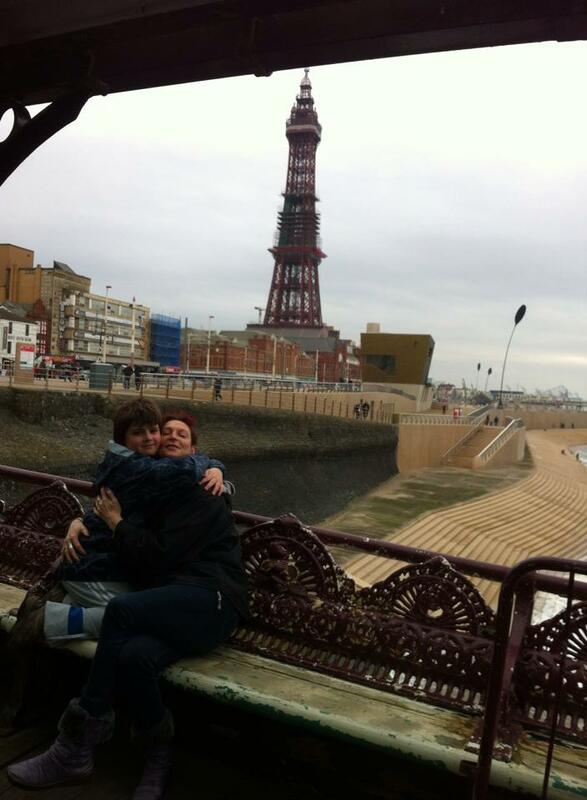 This was the fourth year that Blackpool tower have illuminated the tower blue in support of autism awareness and we were lucky enough to raise enough funds for four families living with autism to have a free weekend break at Haven`s Marton Mere Holiday Park in Blackpool. 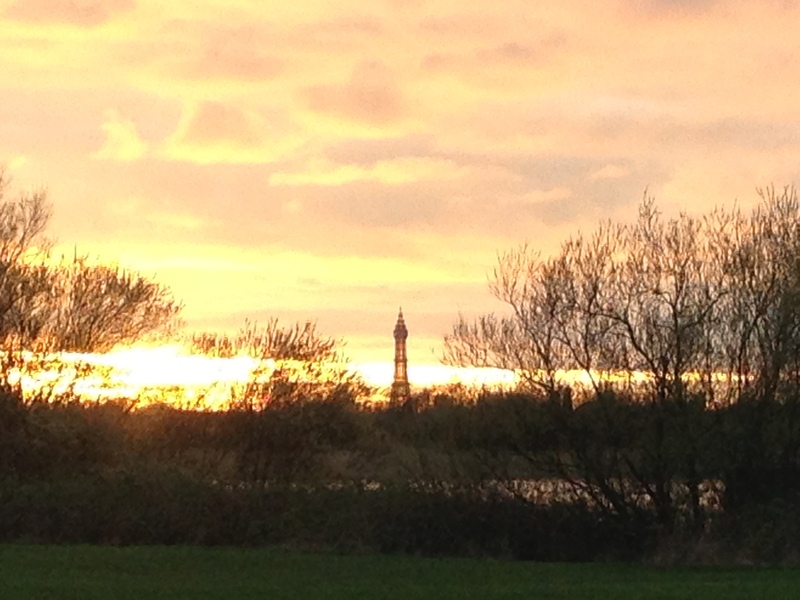 The holiday park isn’t in the centre of Blackpool but for families who were unable to travel or go into the centre on the Saturday night when the tower turned blue were able to see it from the park. Marton Mere is the perfect choice for a holiday set beside a local nature reserve, you can make the holiday as lively or as calm as you want. 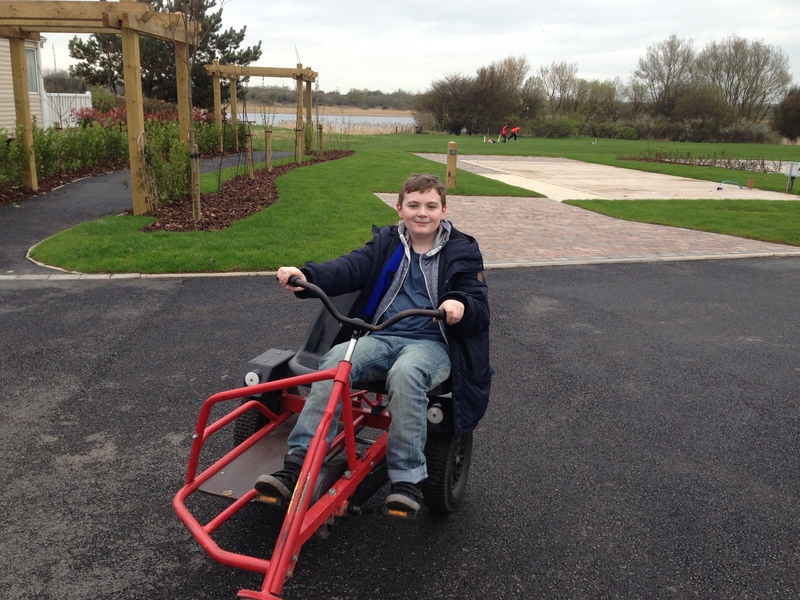 In all families living with autism no two families will live with the same difficulties, here at Marton Mere you can go on a quiet calm walk or jump in with all the activities/attractions. 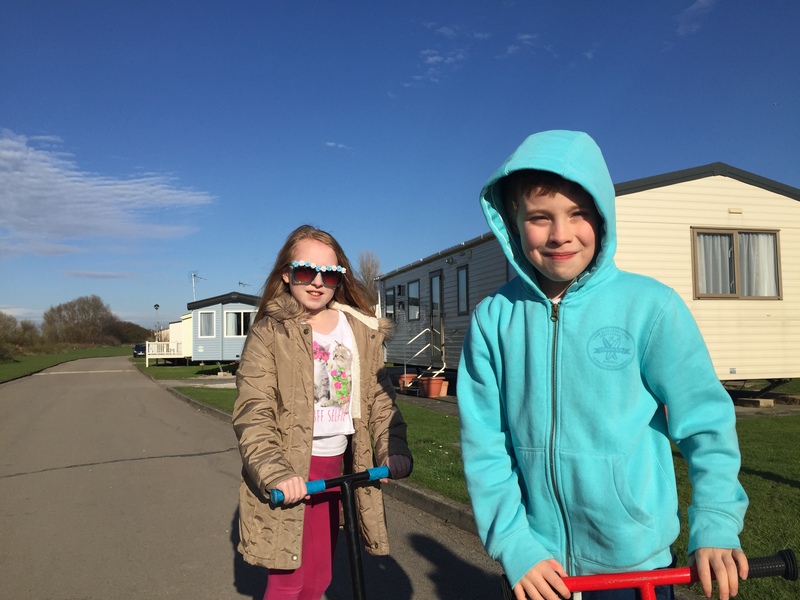 Our caravan break was funded by The Principle Trust Charity who have three caravans on the holiday park. They provide a complete `Hassle free` service providing the holidays completely free ensuring as many children and their families can benefit from the trust. The charity help and support families from a wide range from children with disabilities to children living in inadequate housing. Our little boy MacKenzie was diagnosed with Autism 18 months ago before then his diagnosis was speech and language disorder, social communication difficulties and sensory issues since the age of 2 and a half. We knew for a long time that he did have autism it was obvious to us even though some days we pretended it wasn’t. Getting a diagnosis makes it final and brings everything to a head if you are a family that have waited for a while. Everything changes when your child has autism please take a moment to read this short poem Welcome to Holland. Being away from home especially his home town is a really problem for MacKenzie at the moment but we are working with him and supporting him with it. Going on a caravan holiday has a big advantage for us because he can take more things from home with him to try and make him more comfortable. We tried to keep him busy and take his mind off home by long walks around the holiday park which is calm and safe with cars only able to travel 5mph. One day we took Mya and MacKenzie to Stanley park which is only around the corner from Marton Mere, we also visited Blackpool Zoo which MacKenzie loved the dinosaur safari. Both Mya and MacKenzie love crafts so to the Creative corner they went one morning……at creative corner you can select different type of crafts for example, sand art pictures, canvas paintings, pottery painting and the new foam clay pottery models. If you are wanting to do an activity with the pottery which Mya and Mackenzie chose to do there is a good selection of models to paint or cover in foam clay. MacKenzie automatically wanted a model of Kirby (he is a very big fan…….Kirby is talked about every day in our house) sadly no Kirbys, but we did find an octopus who was about to have the Kirby transformation. Mya went for the cat and painted it to match our fifth family member, Meme our cat. We would just like to say again a big Thank You to first all the people who helped raise the money to pay for the caravan breaks……so a big Thank You to Burnley College, all the door staff at Smackwater Jack`s Bar in Burnley, Premier Kennedy`s Store in Burnley and Avenham General Store in Preston. These funds have made a huge difference to the families living with autism who went to Marton Mere. Michelle at Haven Marton Mere who works in Guest Relations, she kindly supported us by providing free activity park passes for all our families during their stay. 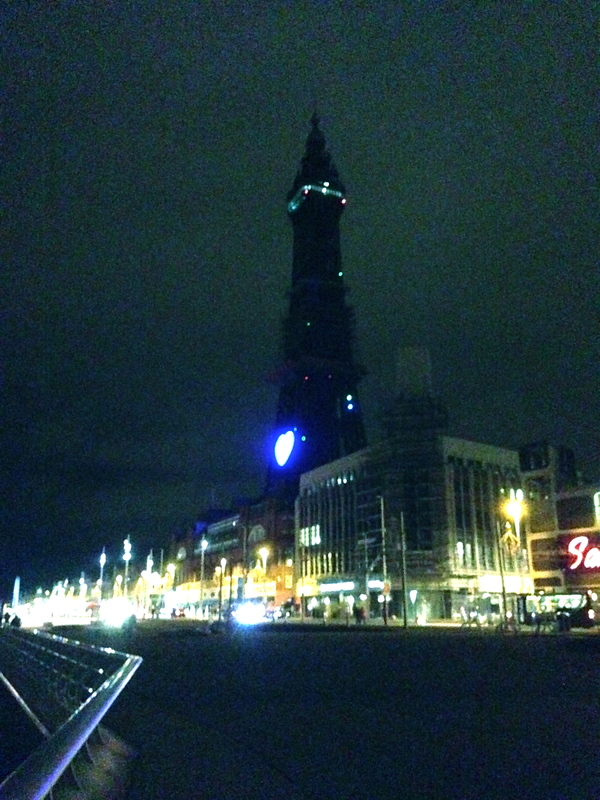 The Blackpool Tower for Lighting Up Blue 4 Autism again on World Autism Awareness Day 2nd April (due to technical difficulties this year only the heart and the top were able to light up blue). The Principle Trust Charity for providing us with accommodation at Marton Mere over the Autism Awareness Weekend………had a lovely time, thank you so much. 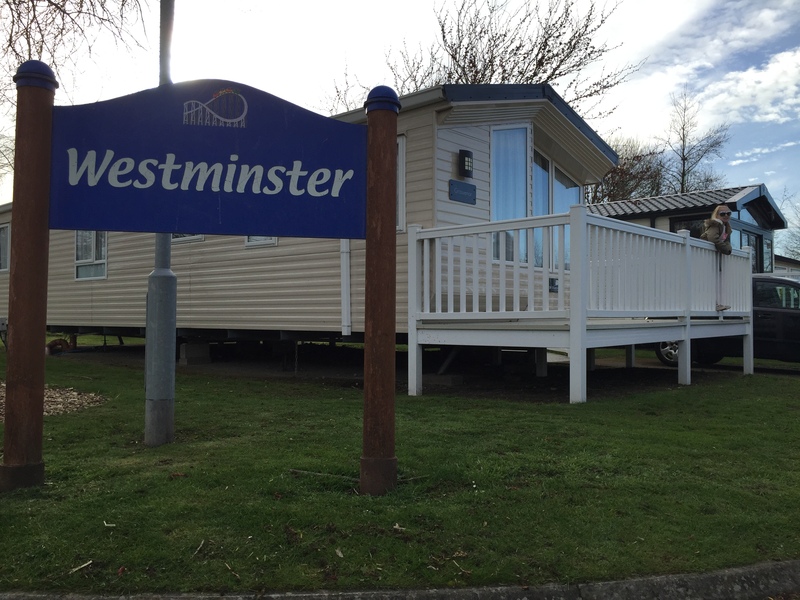 Firstly we would just like to say a big thank you to the Principle Trust for providing us with a free break at Marton Mere Blackpool this week. 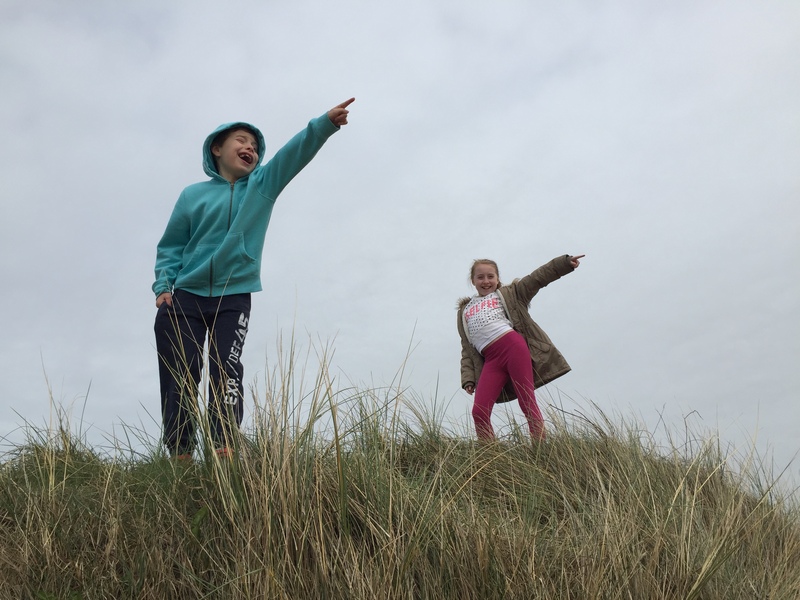 The Principle Trust is a North Yorkshire based charity which provides completely free holidays for disadvantaged children and their families, particularly those with additional difficulties such as long-term illness, violence, depression, disability or overcrowded and inadequate housing. 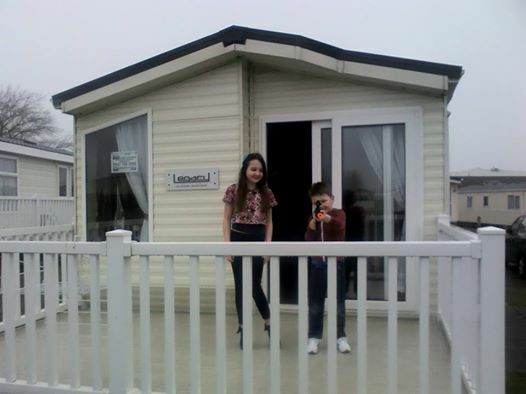 These 3 holiday homes are sited at Haven`s Marton Mere Holiday Park in Blackpool. The Principle Trust provides a complete `Hassle Free` service providing the holidays completely free, ensuring as many children and their families can benefit from the trust. We are a family of 4 with our youngest child MacKenzie who is diagnosed with Autistic Spectrum Disorder. Autism is a lifelong developmental disability that affects how a person communicates and relates to other people. It also affects how they make sense of the world around them. It is a spectrum condition, which means that while all people with autism share certain difficulties, their condition will affect them in different ways. People with autism may also experience over or under sensitivity to sounds, touch, tastes, smells, light or colours. You do really have to live with someone with ASD to really understand. When you have a child with ASD you realise how much the neurotypical child is taken for granted. The things the neurotypical child learns along the way are amazing, like a child intuitively learns to look to another persons eyes to see what that person is likely thinking about, the child learns to predict what that person might do next, which lays the groundwork for reading people`s intentions. They intuitively learn how to be a flexible thinker, understand jokes and idioms (It`s raining cats and dogs) and understand others feelings. Without even just these things makes life a whole lot different. 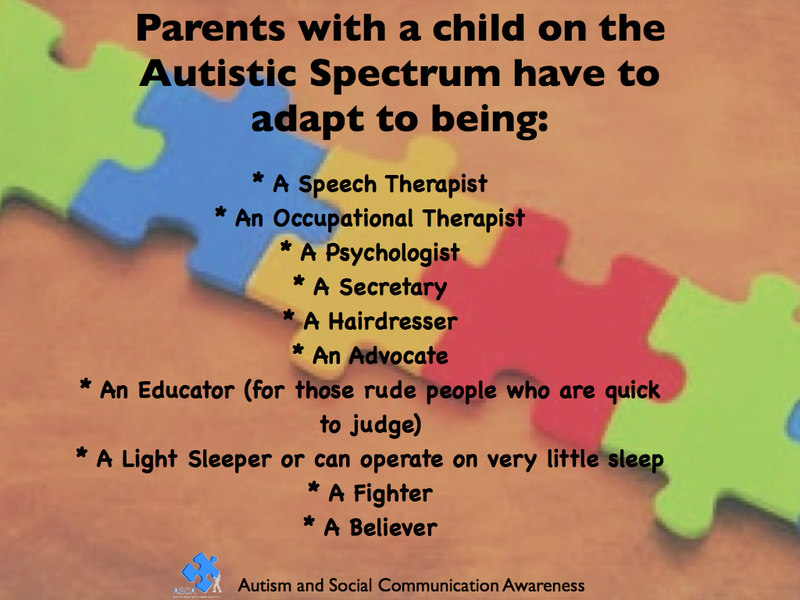 Autism in the family does create difficulties but you just have to work harder and put in 100% more effort. I think for us as a family it has made us a stronger family unit……..yes its not easy but it has changed each one of us for the better and Mya is certainly growing up with a very caring and understanding nature. Marton Mere really is a great place, and for us feels a safe and calm environment in which our children enjoy especially MacKenzie. There are no busy loud roads for him and the calmer outdoor environment makes him a lot more relaxed and less highly stimulated. Also being a caravan holiday Mackenzie can take more of his home comforts with him to make feel more secure. Thank you again The Principle Trust Charity we had a great few days. 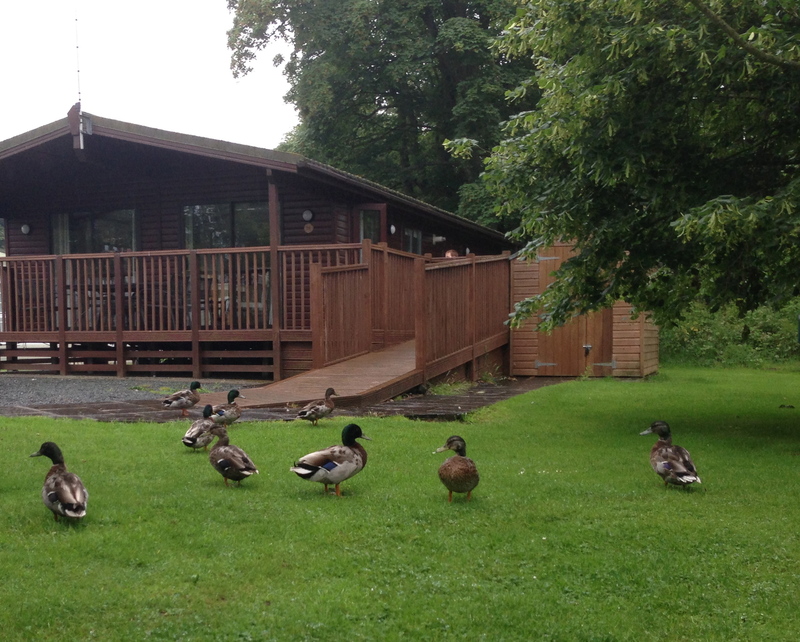 A couple of months ago we had a family weekend away in a lovely lodge at Ribby Hall Holiday Village. Ribby Hall is a luxury 5 star holiday village on Lancashire’s Fylde Coast. 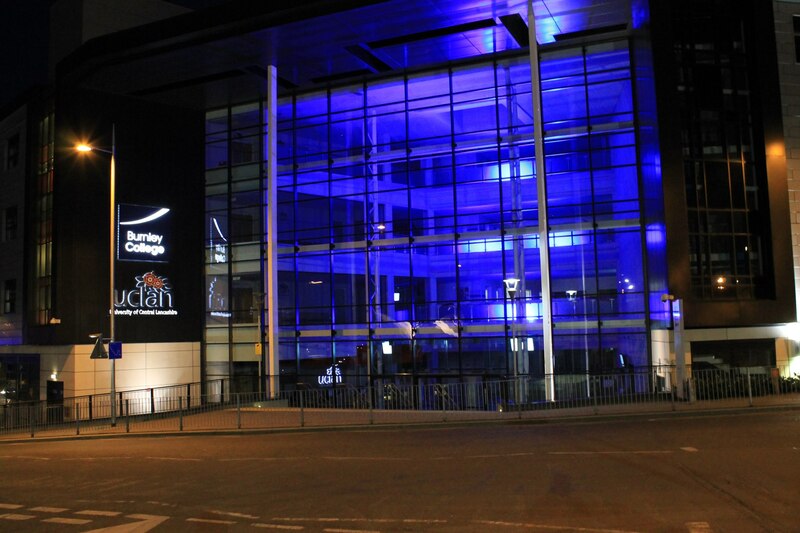 They have an impressive range of sports, swimming pools and leisure centre facilities. They are also just a 10 minute drive from the beaches of Blackpool, Lytham and St. Annes. The family lodge was provided to us at a discounted rate via a charitable organization called Friends of Families, who have 4 units on the site. The accommodations have been adapted not only for children with physical disabilities but also for children and young people with autistic spectrum condition and have been decorated accordingly in neutral colours. Any of the units can also be booked via a short application via another charity called TSC Trust which can provide funding for the total cost of the holiday, they can also provide breaks at 35 Haven sites, narrow boat holidays on the Lancaster Canal and a purpose built apartment block in Blackpool. The Ribby Hall Village is nicely laid out with lots of greenery and was really nice and quiet. We didn’t make any use of the restaurants/cafes or nightly entertainments our main interest was in the horse riding for Mya. We firstly booked Mya in for a lead and walk around the village for 30 minutes which we followed her around with MacKenzie. MacKenzie was a little unsure, but gained a bit more confidence by watching his sister and having a quick chat with the horse and the staff leading the walk. Later on that afternoon we booked Mya and Mackenzie both in for a 15 minute lead and walk on the horses so MacKenzie wouldn’t have too much time to start thinking about it, if he starts thinking about something too much worry sets in fast. We were really surprised how well he took to it, normally MacKenzie is very loud and vocal in social situations and gets highly excited or anxious and none of this happened. Throughout the 15 minutes he was calm and quite quiet. Next day we took full advantage and booked them both back in for the lead and walk for 30 minutes. This time MacKenzie was fully relaxed that much so we had to walk along side him on the horse making sure he stayed awake! I have never known him to be so quiet especially outside, even passing people around the village, normally he will speak to anybody we see or he will talk loudly to get attention from others ……….. but no not while on the horse. So we have finally found the solution, we need to get a horse but i cant see Sainsburys or Asda being happy me taking a horse to do the shopping. At least though its just another great gain that MacKenzie has now rode a horse, something that we thought he would never do because of his fear of animals and also the most amazing find for us was that a horse could provide him with a sensory solution. 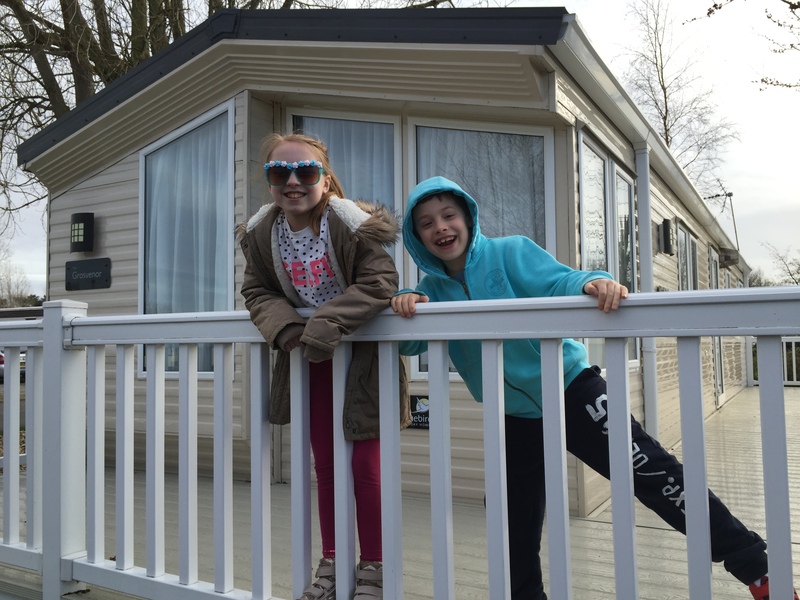 It has been two days now since returning from our weekend at Haven’s Marton Mere Holiday Park in Blackpool, what a fantastic weekend break………..and not just for us but a handful of other families living with Autism or other related conditions who we raised the money for to take. Just a year ago we started ASCA – Autism and Social Communication Awareness, we are just Mum and Dad of Mya and MacKenzie, two wonderful children, Mya is 10 and MacKenzie is 6. MacKenzie has special needs, his current diagnosis is speech and language disorder/social communication problems which could possibly lead onto a diagnosis of Autistic Spectrum Disorder. 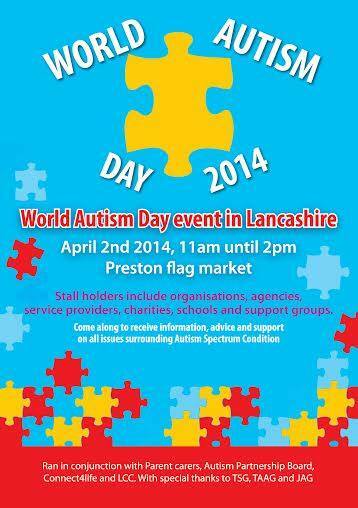 The aim of ASCA is to promote awareness of autism and help others understand what it is in a positive way. We do this by collecting old mobile phones, then work alongside with Hearts and Minds, a charity based in Manchester which have a recycling scheme and exchange the old mobiles for iPads which we then donate to Autism groups and SEN departments in schools. We also have a facebook page http://www.facebook.com/ASCAwareness which offers thanks and updates on the phones collected, information, advise and 1 to 1 support online. 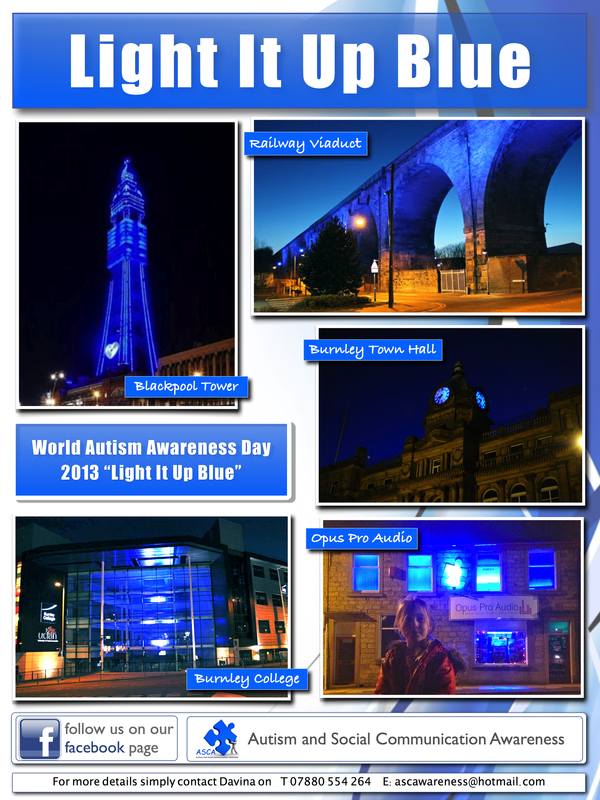 We organised the ‘Light Up Blue 4 Autism’ in Burnley and the Blackpool Tower last year and again this year for World Autism Awareness Day 2nd April. People along the year have raised money for us, Tesh Desai has been great organising a few events, head shave/back wax, cricket match wearing pink, but a very big contribution has been from Burnley College by raising money for us via tea rooms at open events and selling hanging baskets which students made. The Principle Trust Charity also supported us by providing us with another two lovely luxury caravans which we are very grateful for and again gave another two families the break they deserved. 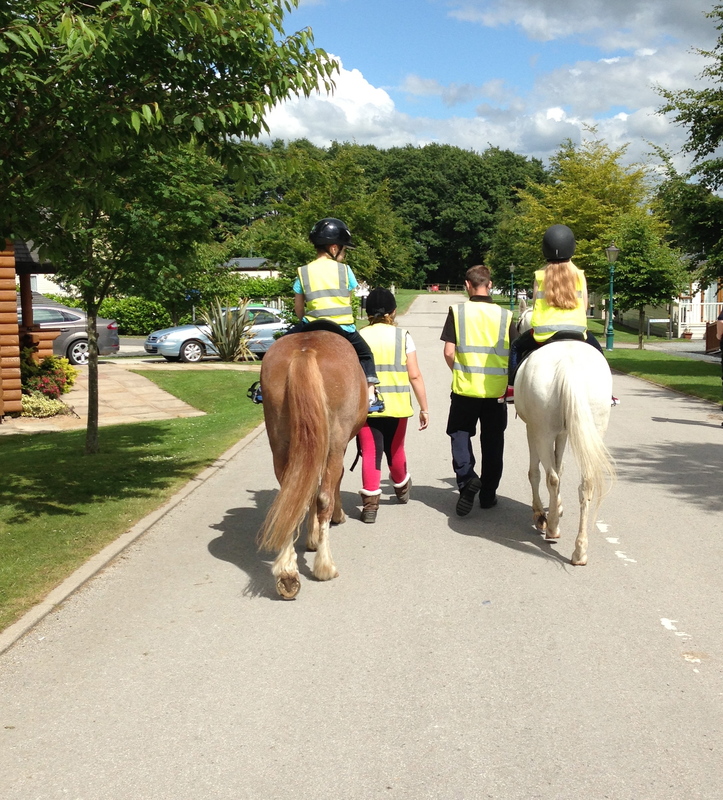 These funds have made a huge difference this weekend to the families we took to Marton Mere, just having that small break….yes its still not easy taking your child away with autism but Marton Mere is great holiday park with lots of things to do, and with our families it offered great choice this weekend. Having a child on the autistic spectrum could mean that your child may need lots of sensory input and lots of outdoor activites, it maybe your child needs more of a relaxing time in a calm environment, the list goes on because each child or adult on the spectrum is different and has different needs. For parents the break was very important, bringing a child up on the spectrum is difficult, the things you have to learn and how you have to adapt your whole family life. From Jessica Greenhalgh and family. From Tracy Smith and family. From Denise McGlynn and family. From Caroline Shaw and family. Haven Marton Mere for kindly supporting us by providing free activity park passes for all our families during their stay. 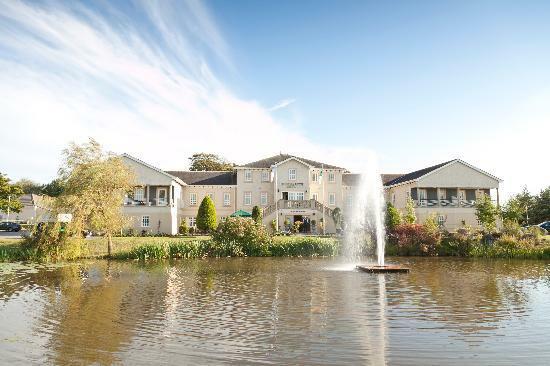 The Principle Trust Charity for providing us with two free accommodations at Marton Mere to give out to families over the Autism Awareness weekend. 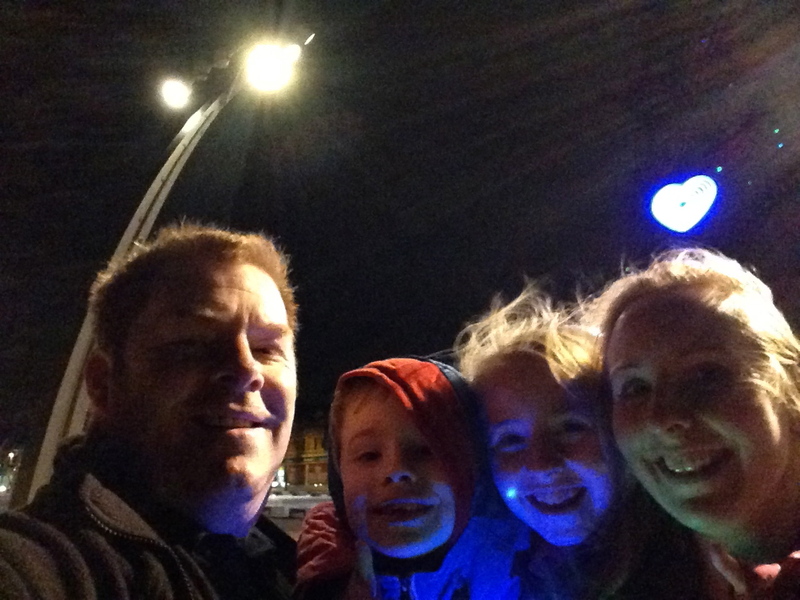 The Blackpool Tower – Richard Ryan, Kenny, Kate Shane and all the other people who supported us on ‘Light Up Blue 4 Autism’ by lighting the tower up again for World Autism Awareness Day 2nd April and extending it until Sunday 6th April so families could see it over the weekend. (Due to technical difficulties this year only the heart was able to light up blue). It can be harder to spot the more high functioning child but that doesn’t mean its less harder for the parents to deal with every day. Sibling also suffer and growing up with an autistic brother or sister they sometimes get forgotten. They hear the comments from other people who are quick to judge, they also carry some of the pressures of dealing with their brother or sister when things go wrong outside ie. their brother/sister is lying on the floor of the supermarket/shop screaming or they are being socially inappropriate. Please think again your wrong judgement could heavily impact on the whole family and add to the pressure. 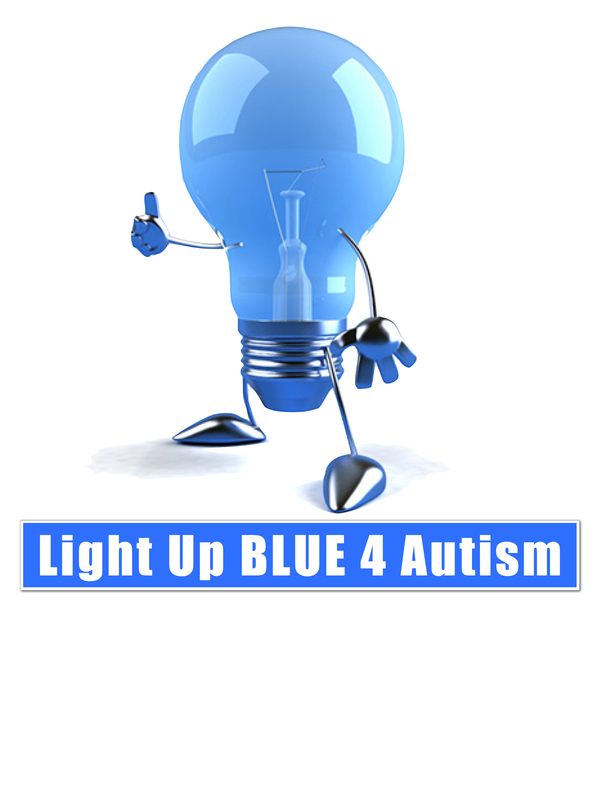 Back to the positive stuff….It is only 10am and it is a joy to see that World Autism Awareness Day has really took off this year, it is bigger and better. Already it has been mentioned in the news, celebrity Melanie Sykes has been on Daybreak ITV talking about her life with her autistic son, Hearts and Minds Charity based in Manchester have appeared twice on Daybreak ITV this morning, Ian McGrath and Cheryl Broadfoot …. just fantastic support and awareness. 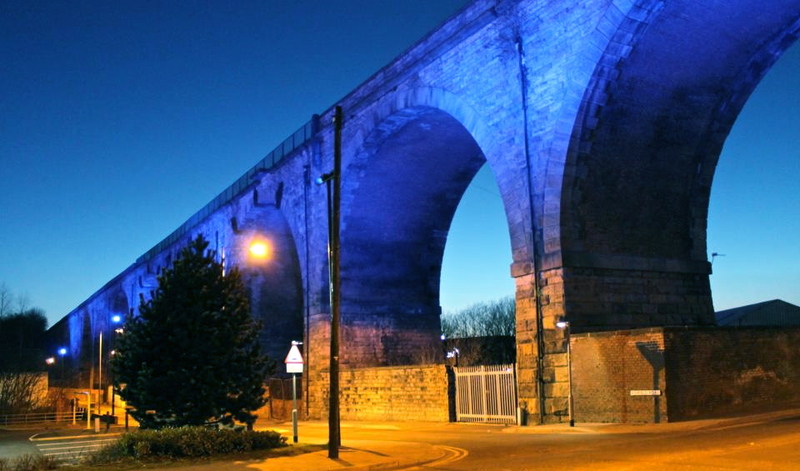 Locally we have again organised the Town Hall clock face in Burnley, Burnley College and the railway viaduct to Light Up Blue 4 Autism tonight. We have also arranged Blackpool Tower to Light Up Blue again this year and we have raised some funds to pay for five families who are living with Autism to have a free break in Blackpool at the Marton Mere site this weekend. 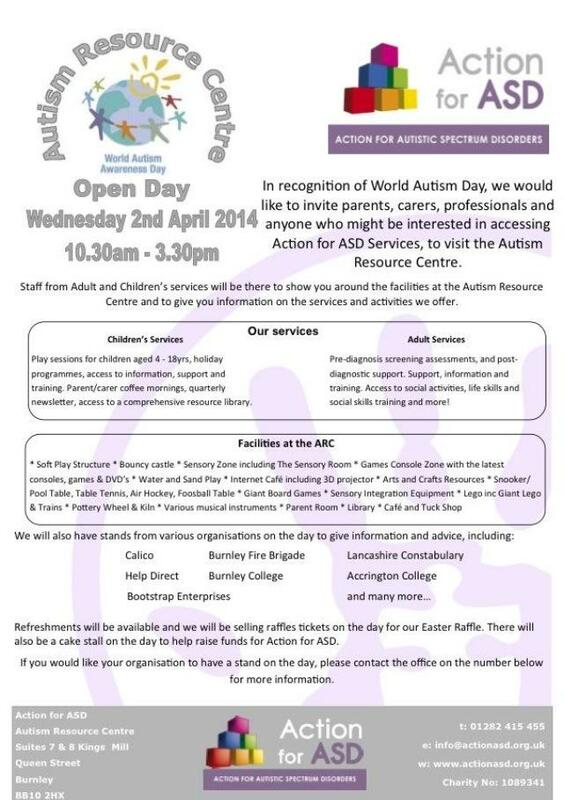 Action for ASD, Queen street Burnley are holding an open day, Preston are having a large World Autism Day Event at the Flag Market put together by some superstar mums, various organisations, charities etc and local shops in Clitheroe have done some fantastic window displays.